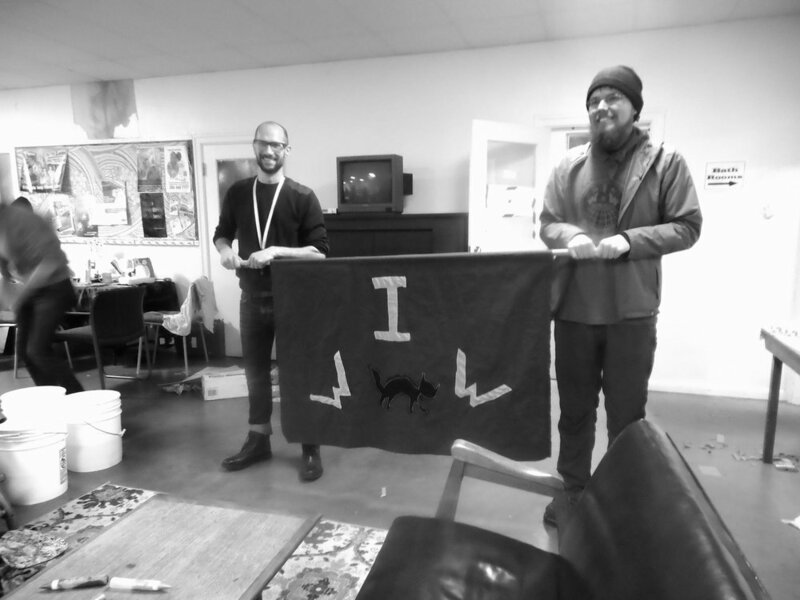 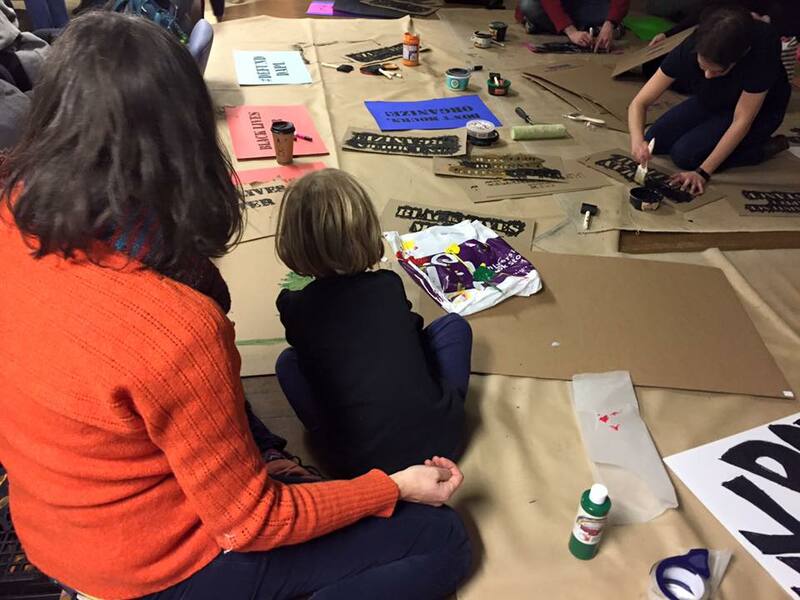 J19: Guerrilla Art School, a huge success! 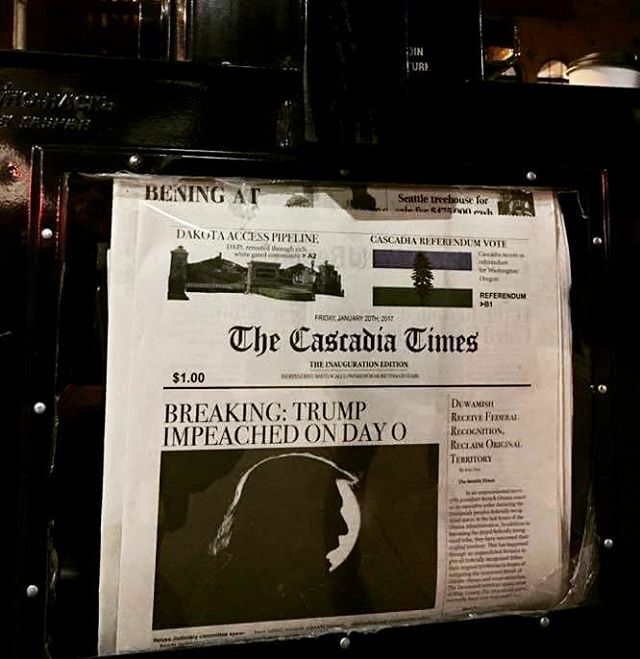 — CascadiaNow! 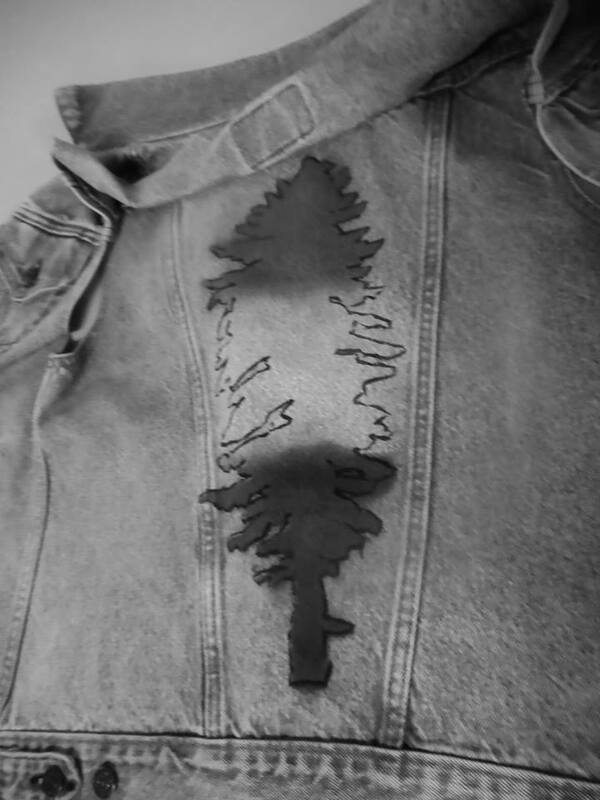 This wonderful video provided by Chloe Collyer. 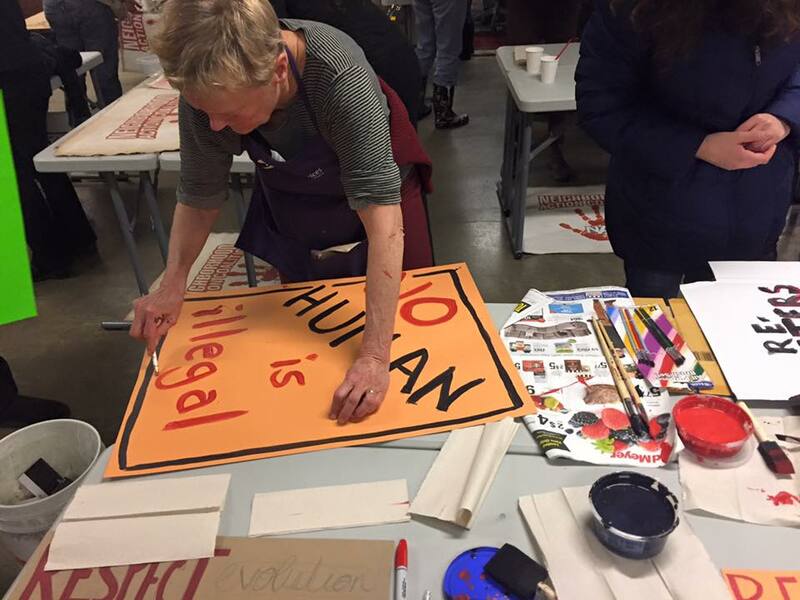 Her full article on the J19 Art Night and other creative forms of protest art can be found on the Seattle Globalist here. 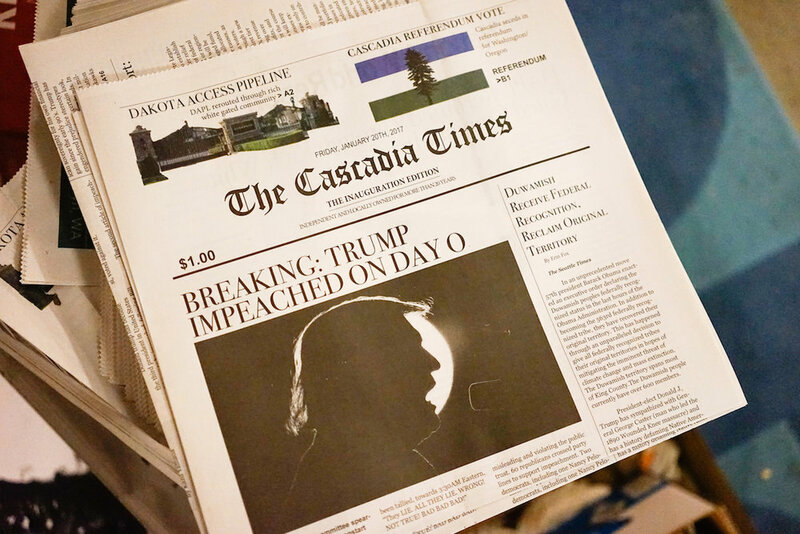 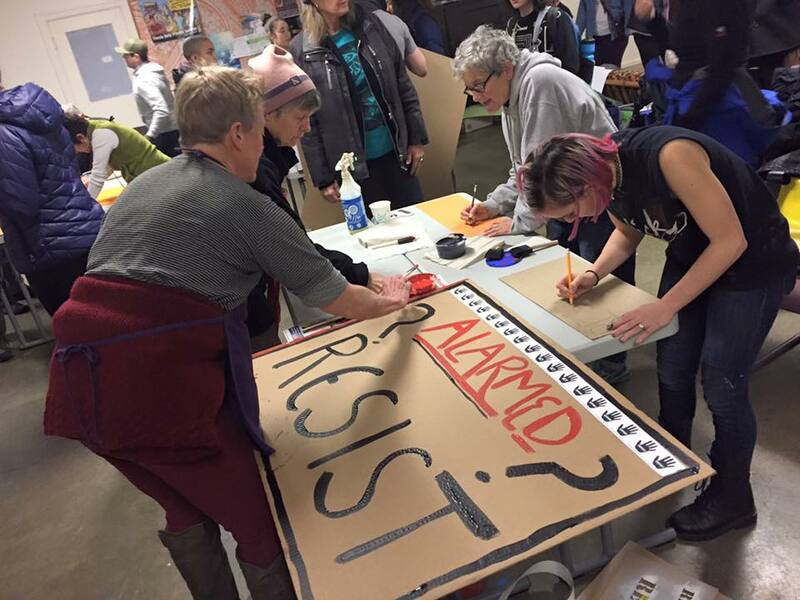 On Thursday, January 19th, Seattle CascadiaNow! 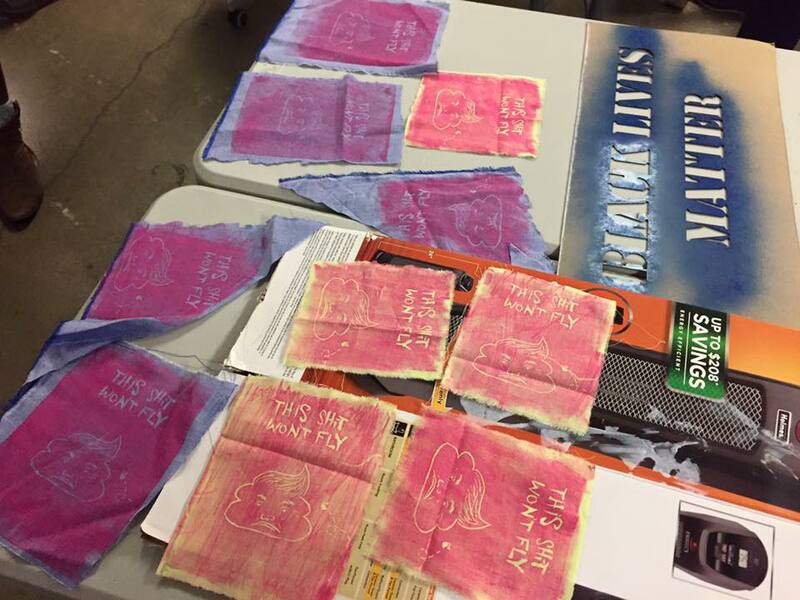 helped host a self proclaimed 'Guerrilla Art School' at the Columbia City Church of Hope in Seattle. 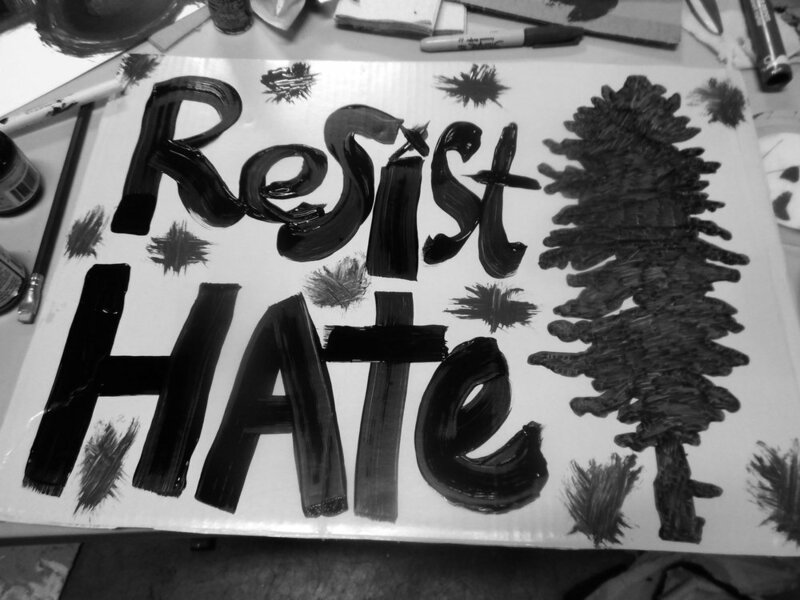 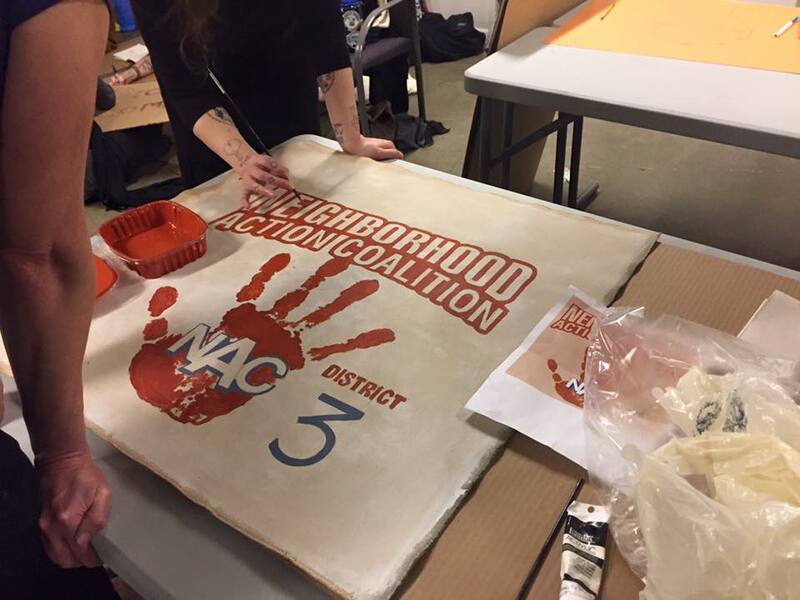 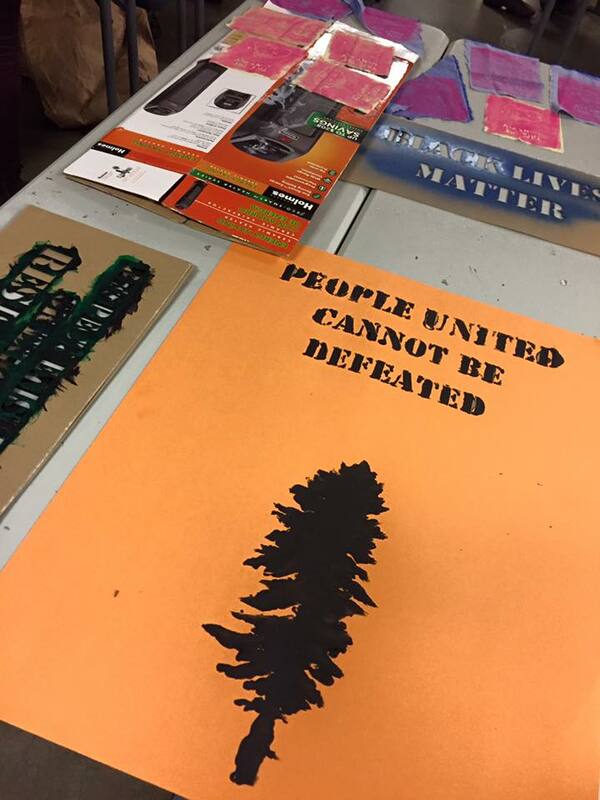 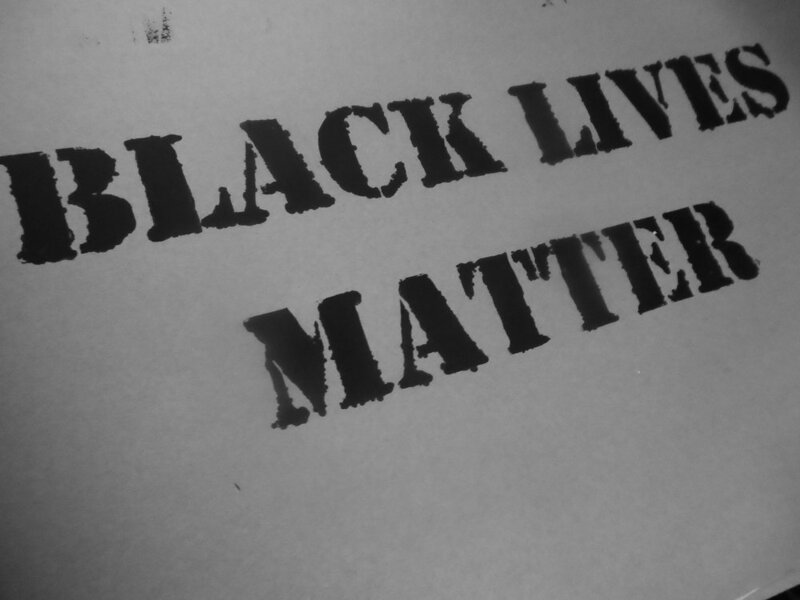 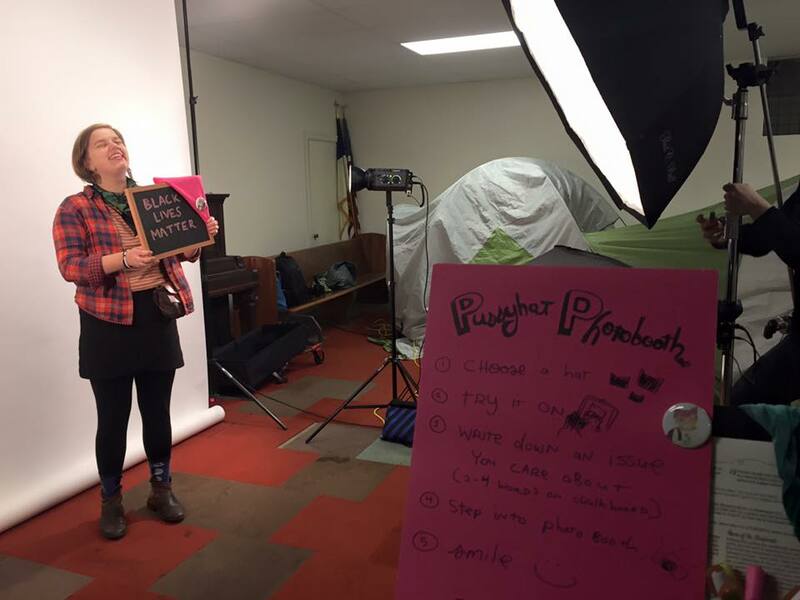 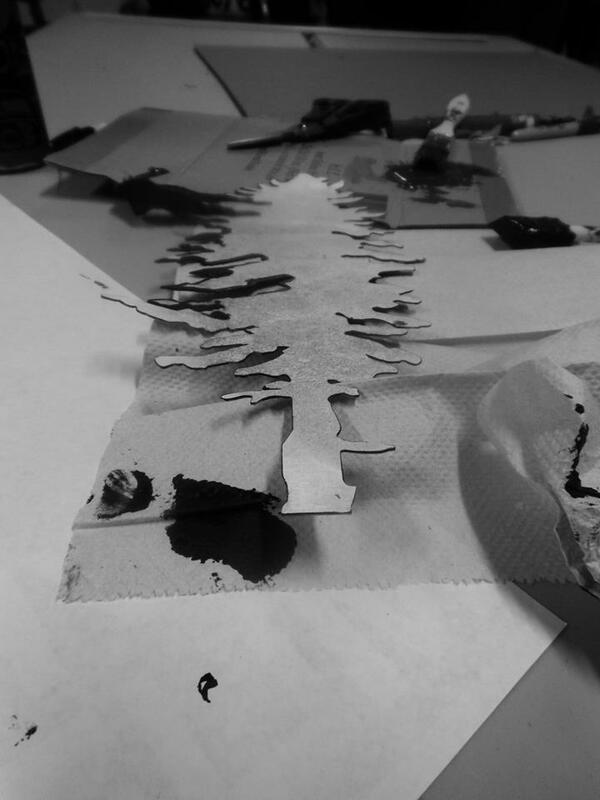 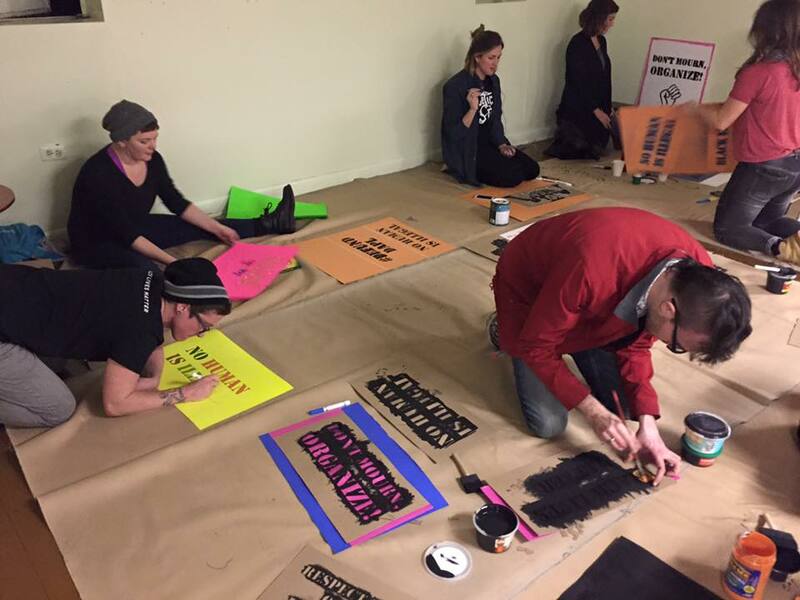 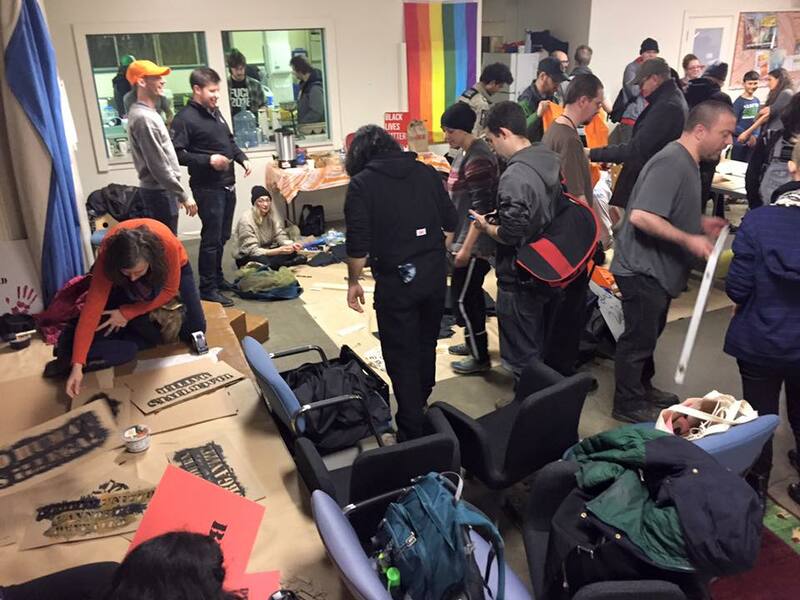 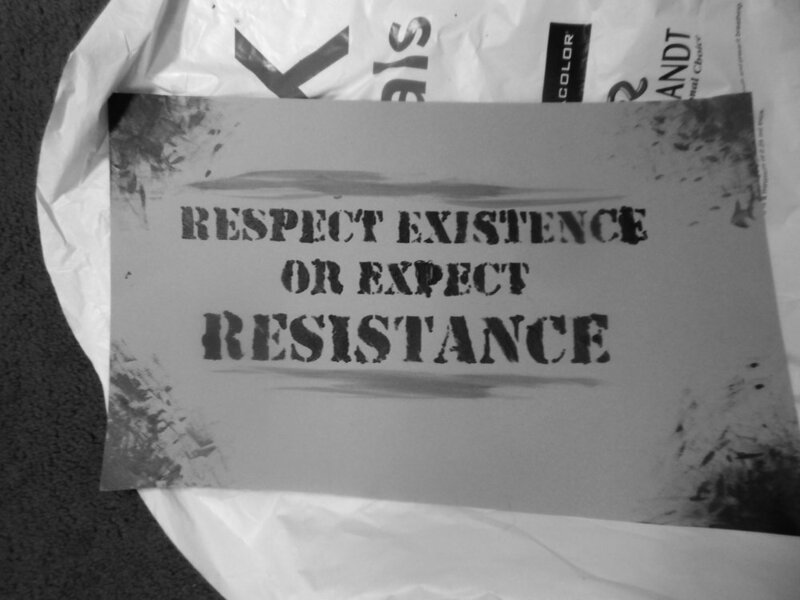 The night started with space for the Seattle Neighborhood Action Coalitions to create signs and banner for January 20th activities, shirt making for the Women's March on the 21st, and then created a ton of space for stencil making, screen printing, and creating posters. 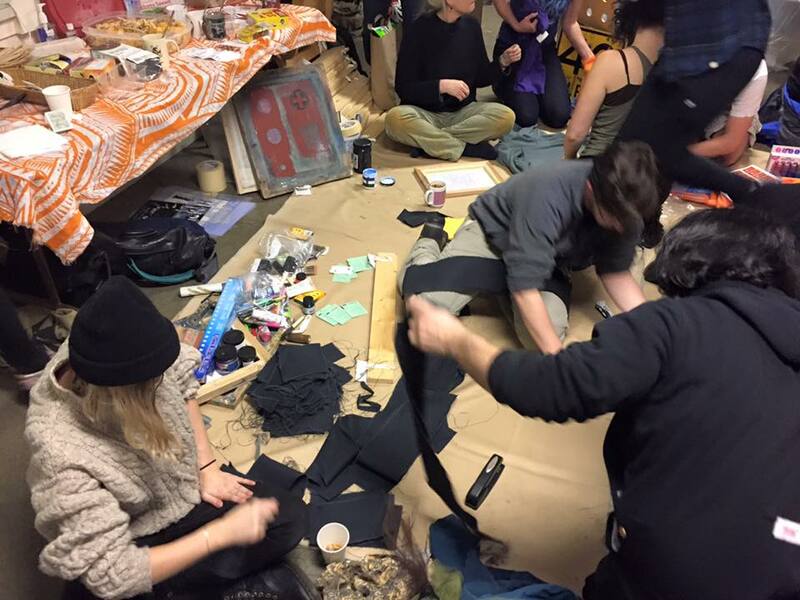 As the night progressed, people brought thousands of different sized posters, and food not bombs prepared food and wheatpaste, Project Wrongway: A Capitol Hill Sweatshop helped people sew patches on and of course included a Pussyhat Photobooth. 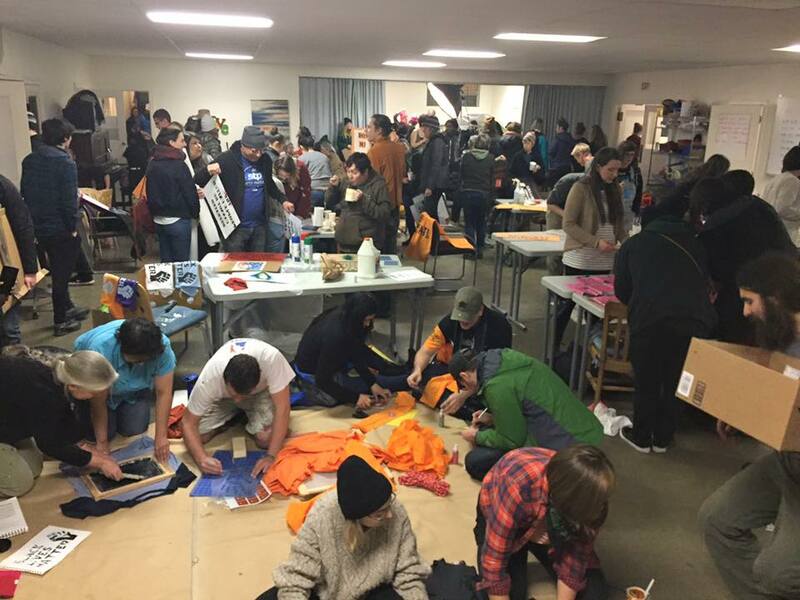 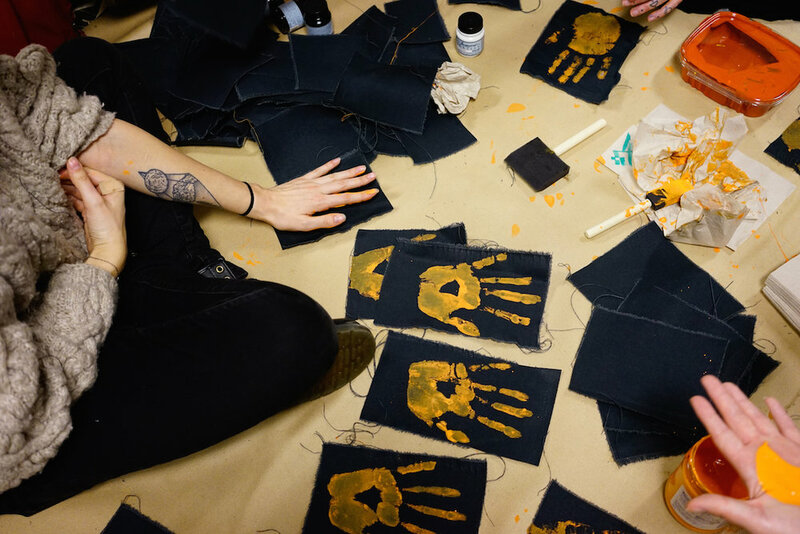 Throughout the night, more than 200 people filtered in and out, packing the church basement rendering the dozens of tables, and every inch floor space into DIY arts and crafts centers.